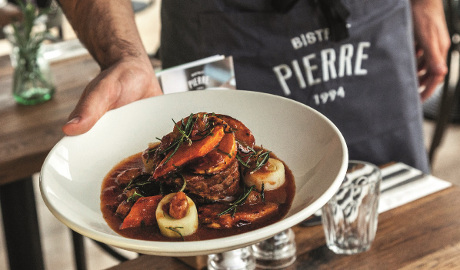 Having delighted diners for eight years with its freshly prepared, authentic French cuisine, Stockton Heath’s Bistrot Pierre will unveil a new look next month. Located on London Road, the bistrot will benefit from a fresh new look including a new colour scheme, new lighting, wall art and fittings, maintaining an authentic and individual bistrot environment. Renowned for offering high quality French-inspired dishes at great prices, Bistrot Pierre has grown a loyal customer base in the town since opening its doors in 2010. Carolina Navarrete, general manager said: “I can’t think of a better way for us to celebrate our eighth birthday than our restaurant getting a revamp. “We’ve built up a loyal following in Stockton Heath and we have fantastic relationships with our customers, who I’m sure will be excited by the refurb as much as we are. As well as offering the popular lunchtime prix-fixe menu, which is available seven days a week with prices starting at just £9.95, £11.95 and £13.95 for one, two or three courses, the restaurant will also have a special Valentine’s Day set dinner menu. Offering three courses and a glass of sparkling Veuve Devienne rosé for £29.95, the Valentine’s menu includes classic dishes like boeuf bourguignon maison and a special passion fruit crème brûlée. “Stockton Heath is a special location for us,” said Rob Beacham, co-founder of Bistrot Pierre, who added: “We pride ourselves on creating authentic and relaxed settings for our customers and we are committed to retaining a sense of individuality at each one of our bistrots. You can join us for a leisurely breakfast over the weekend as well as lunch and dinner. 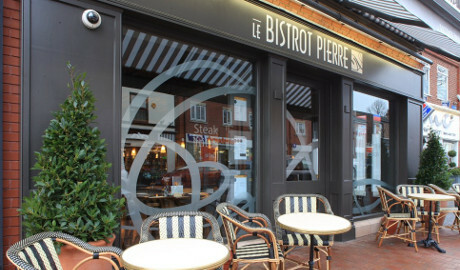 To book your table at the newly refurbished restaurant, call 01925 214 250 or book online at https://bistrotpierre.co.uk/book-a-table. Nestled in a leafy South Warrington village, surrounded by boutiques and restaurants, our Stockton Heath bistrot finds itself in a vibrant, bustling location. Our raison d'etre is great value French cooking and seasonal menus. We like to combine French bistrot classics such as steak-frites, boeuf bourguignon and tarte au citron with our own take on regional favourites like tarte flambee, Bouillabaisse and pate de campagne. 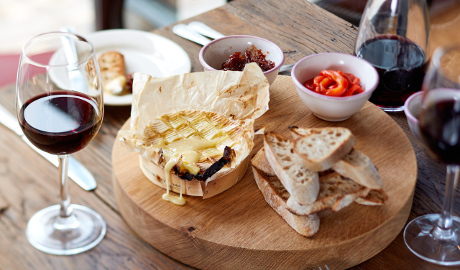 Our relaxed and friendly bistrots are the place to go for any occasion. A firm favourite with our customers, our Stockton Heath bistrot provides a truly authentic experience, that you would find in any French town.